There are a lot of factors that make an affiliate marketer successful. Affiliate marketing is different from traditional marketing because an affiliate will only be paid upon the user taking action. The action may be purchasing a product or signing up a for a service. With affiliate marketing however there a some rules that can help a budding affiliate marketer head in the right direction. It also helps to check out affiliate marketing reviews before you start. 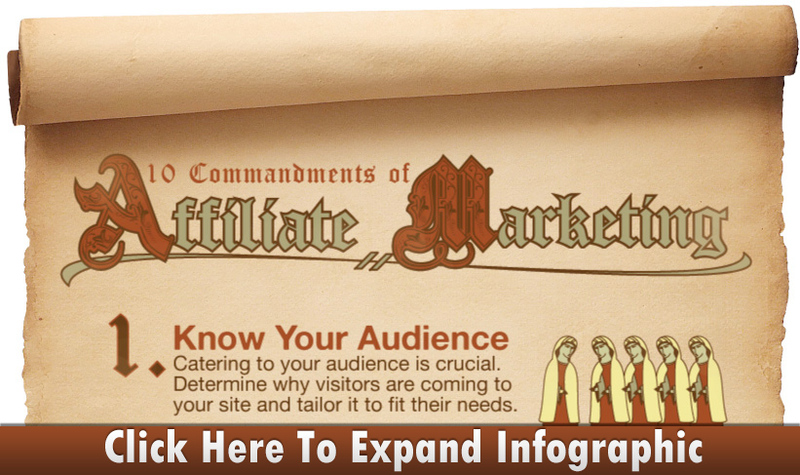 Below we have provided some commandments for affiliate marketing that will your keep your business in line for success. Copy and paste the HTML code below to embed this graphic onto your site.